July 21: 5 POWER Lessons From 5 Leaders Who Made History On This DAY! The immense magical essence which we are blessed with is sure to be unleashed, made use and given a meaning when some extra push, added motivation and inspiration would append success to our lives. The deep rooted hunger to achieve and a desire to live a contented life is all going to be fulfilled when those who have already proved influence our lives. Read on! You are a masterpiece! You are unique and incomparable. If there is no life living on this planet which is just like you, then how can you treat another different life as your competitor? Always remember that you can definitely not invite a real and pure victory into your life when you take another person’s performance as reference? You can completely unleash your potential, discover your inner self and build your dream life when you consider yourself travelling along the track leading to success all alone. The best way to move to the next level and acquire success is by bettering yourself, improving your previous attempts and measuring your progress minute after minute. In order to accomplish all your goals and ambitions, you got to create a goal of becoming better and walking towards perfection and make it your priority in order to achieve all your dreams. Rather than comparing yourself with your competitor, discovering yourself by competing with yourself would add more value to your personality. 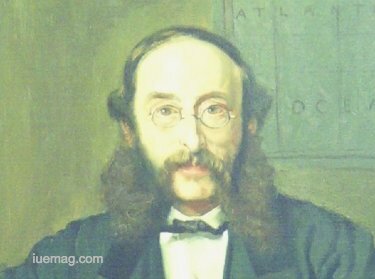 Paul Reuter led his life such that he tamed the inferiors of his life and fought against the negativities just to bombard an improvised version of his actions. The German-born, British entrepreneur was a pioneer of telegraphy and news reporting. He was a reporter and media owner, and the founder of Reuters News Agency. He pioneered and excelled at his interests when he completed the joy of correcting his flaws and carrying the lessons forward. We are crazily and immensely blessed and nourished with unwavering talents. All the strengths and energy is inbuilt deep inside us. Each of us does not even have a tiny glimpse of what our abilities and powers are. There may be certain times when you are trapped in challenging situations, confusing instances and confronting emotions; you may finally try to give up thinking that the trap has overridden your might. Problems which trigger you are always smaller than your wholesome potential which makes your personality. The spirit within you and the charge imparted by it proves the fact that you are magical. You only got to sincerely wish for, crave for and desire and all the goodness, wellness and success append your life. The secret behind transforming your life into that of a successful one is hidden in making strong decisions, abiding by it and feeling the magical powers in you. 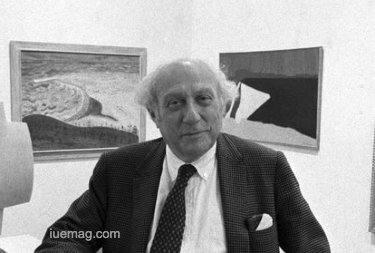 Roy Rothschild Neuberger felt the wonderful skills and powers which he was blessed with. Realization follows your belief and actions. Respecting his thoughts, the American financier contributed money to raise public awareness of modern art through his acquisition of pieces he deemed worthy. Co-founding the investment firm named Neuberger Berman, he was orphaned at the age of 12. He was born in a wealthy family but what actually helped him was his openness in learning and participating in tennis and serving various jobs like selling his paintings and nurturing his love for art. Every attempt of your work doesn’t get the deserved recognition every time. Not always is your good work appreciated. Rain pours down and it is a very natural phenomena. There is nothing surprising when it rains but it certainly is when the rain is poured over the lands of the dessert, wetting the soils which hardly met moisture. An actor may act in various movies but only few of the films gain a blockbuster hit. Do not give up on what you are doing and never give up at any cost. keep doing your part and continue to deliver consistent performance and watch the rest happening all by itself in the right way. The painter never stops painting just because his paintings are not sold. In the same way if you don’t stop doing what you have to, then you shall automatically see your shine glittering throughout your life. 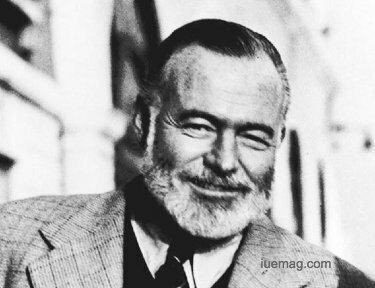 Rather than questioning, Ernest Miller Hemingway chose to wait for the apt time alongside fulfilling his duties and responsibilities flawlessly. The American novelist, short story writer, and journalist acquired fame and he was noted by different categories of audiences for different works and writings. He wrote constantly and waited deliberately for appreciation, recognition and contentment. His economical and understated style had a strong influence on 20th-century fiction and influenced the future. Winning the Nobel Prize in Literature, he published numerous write-ups in all the categories. A new born baby is not born with all the skills and quality attributes built in. We all got to learn and gain them all during the course of our lives. Life teaches us even if we are not ready to learn. Every situation, every incident and every circumstance serve as lessons for us to learn from, live on and win. Everybody on this planet is a learner. None are completely learned. There is nothing wrong in failing, messing up, missing opportunities and victories or facing rejections; there is nothing wrong because we got to learn the exact way to excel. Practicing alone does not help; practicing the right is what actually helps. When you miss winning one victory, the lessons taught by the failing situation shall help you master the art of achieving every other target which you have to. Don’t worry for not dealing with situations perfectly, but do if you don’t learn much and deal with the next situation in a better manner. Umashankar Jethalal Joshi had not mastered the art of travelling through the journey of life just to reach his destination of success. He eventually learnt, handled and turned situations and life instances into encouraging, positively provoking and success-bringing ones. 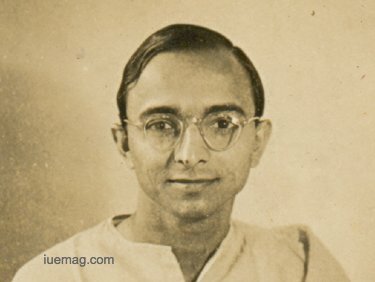 The eminent poet, scholar and writer strived hard to earn this term, ‘eminent.’ Receiving the Jnanpith Award in 1967 for his contribution to Indian, especially Gujarati literature, he became his own torch to illuminate his glorified life. He started by getting inspired by the creative writing and widened his contribution by participating in the freedom struggle. The basic fundamental and quintessential make-over and accessories which are required by a winner mandatorily may be many in number but the stream of thoughts produced by an elegant mind is always the most important one. One thought further becomes the reason and influence for the next thought that is born in your mind. The first thought is what initiates this chain reaction. The chain made by stringing the beads of positive thoughts is the prime accessory which is to be worn by every winner and an aspiring one as well. This divine chain leaves you and the entire planet mesmerized by casting a closure of optimism, positivity and spirit. Think something good in order to act better and experience the flavor of true beauty of success. Henri Victor Regnault lived such a life which gave importance to positivism and quality deeds. 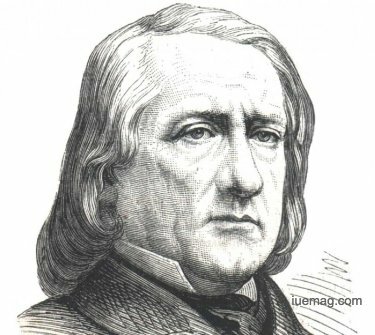 The French chemist and physicist was best known for his careful measurements of the thermal properties of gases. Suffering from a couple of unhealthy and negative incidents like withstanding the pain of accepting that his parents were no more, he bounced back with an idea of spreading a tide of positivity. At the age of 8, he worked for an upholstery firm until he was eighteen. He overcame tough times and never ran from them. This attitude in itself fetched him immense. He had the first president of Société française de photographie. Conclusion: Since life is highly unpredictable waking up, standing up and acting without waiting or giving a second thought is very important. A success-embraced life demands you to organize a grand celebration. Such celebrations would which add more energy, spirit and joy to life and help you bag more achievements. Any facts, figures or references stated here are made by the author & don't reflect the endorsement of iU at all times unless otherwise drafted by official staff at iU. This article was first published here on 21st July 2017.